NEW Best Price! Multicolor 50pcs Gemstone Healing Pointed Chakra Crystal Quartz Color Pendants for Necklace Jewelry Making - Fast Shipping! 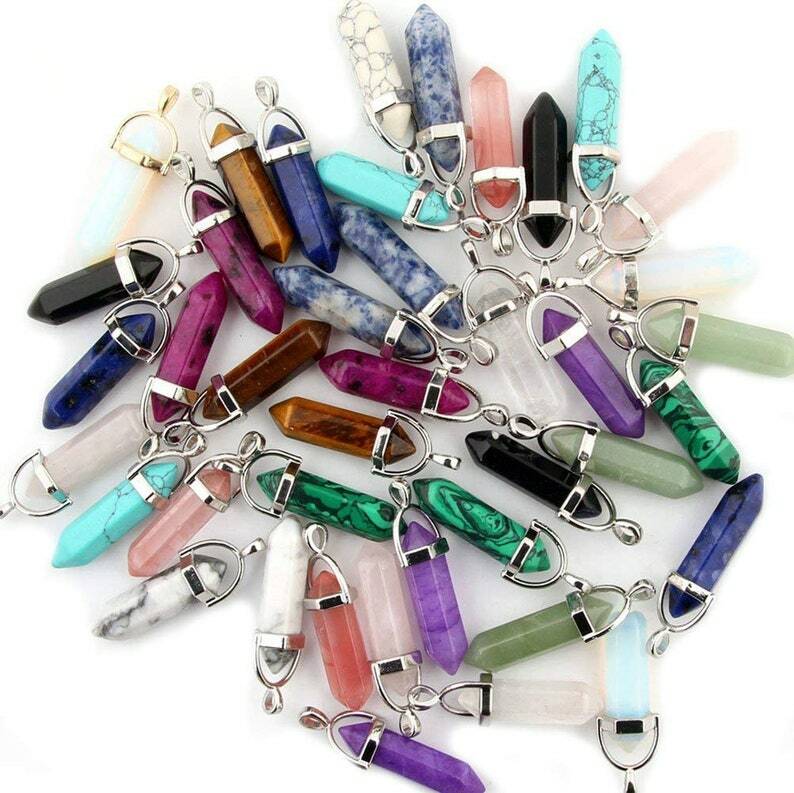 Healing Crystal Stone Quartz Pendant and Reiki Rock Chakra Gemstone Set Charms Semi-precious semiprecious Stone for Necklace Earring Jewelry Making. Diy Gift Suit for Kids also for Adult,for Men Women also Girls,Best Arts and Crafts. These Beads Assorted Natural stone and Crystal Quartz Beads,Crystal Quartz Beads is man made by about 93% of natural quartz aggregates are combined with 7% of color pigments and polymer resins.its cost high than natural stone. Beads all are very good quality with very beautiful colors.Welcome shopping. This is natura material with High hardness ,after high polish by human,sometimes will have a little crack,But we will check one by one before we ship make sure all in good condition,If you received goods have problem,please tell us firstly,we will replace for you soon. Stone Produce Can Gives You Deep Sense of Positive Energy, Peace of Mind, Balance, Healing, Meditation, Balancing Emotions Energy for Beginners for Teens Yoga Supplies , Art Collection ,Charms for Making Jewelry and Findings Supplies. New Best Price! Provo Craft Cricut Cutting Mats, Standard Grip, 12x12-Inch, 2-Pack - FAST SHIPPING!